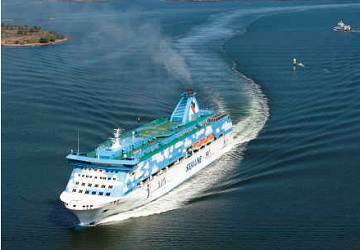 The Silja Galaxy is the floating entertainment centre of the Baltic Sea! 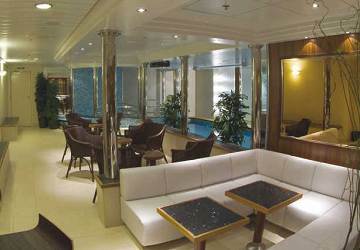 With her 1000 cabins the M/S Galaxy can easily accommodate 2800 passengers and as you would expect of the Silja Line brand, the onboard facilities are among the best around. 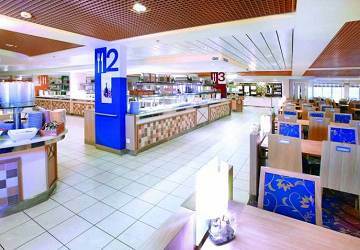 There’s a choice of a la carte and self-service restaurants, numerous bars, night clubs, a shopping mall, a children’s play area, an excellent sauna department with a pool, a modern conference room and more. 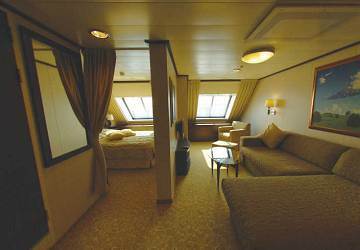 There are more than 1000 cabins onboard ranging from spacious balcony suites to standard inside cabins. 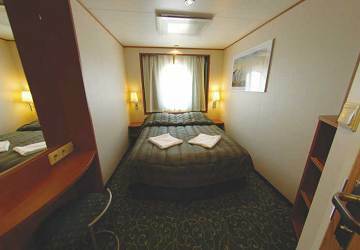 All cabins are en-suite with a TV and specially adapted cabins for disabled passengers and allergy-friendly cabins are also available. 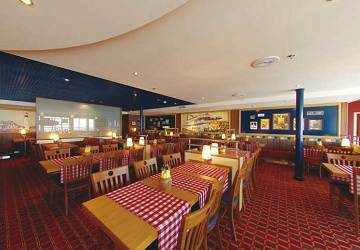 Dining onboard the Silja Galaxy is an unforgettable experience! 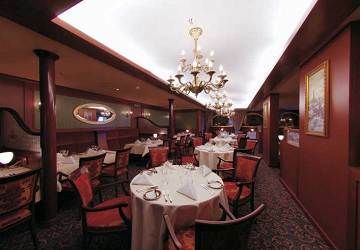 The Happy Lobster restaurant offers a high class and versatile seafood menu with a fabulous selection of wine. The Russian à la carte restaurant Aleksander promises the finesse of the Russian kitchen while in the Grill House you’ll find great food on a hefty menu in a relaxed atmosphere. For a wide variety head to the Buffet Galaxy which offers delicious dishes to suit every taste – all in front of a magnificent sea view. The Cafeteria gives you the option of something small and light. 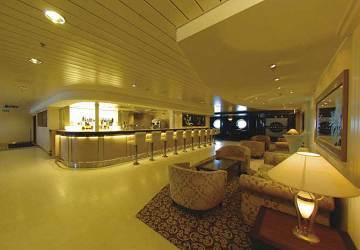 When it comes to drinking venues the Silja Galaxy doesn’t disappoint with its large choice of pubs, bars and clubs. 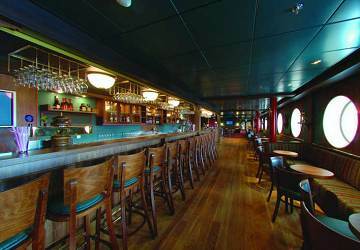 The warm hearted Pub Tallink is a relaxed living room selling full-bodied beers and fresh ciders. In the all-white Piano Bar you’ll find an excellent place to sit and enjoy the evening listening to good quality music whilst sipping your favourite drinks. The 40-seat cosy Cigar Club has comfortable hefty lounge chairs, a wide cigar selection and inviting decoration which will enchant not only the cigar lovers. 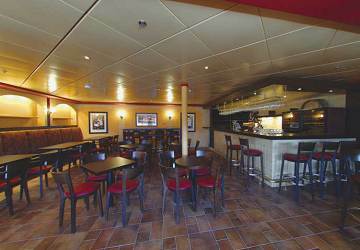 The wonderfully decorated Wine Bar is the perfect place to enjoy the crossing with a glass of wine selected from a fine menu. Next to the Wine Bar you’ll find the classy Whisky Bar where sipping and sniffing of whisky rarities from around the world takes place. 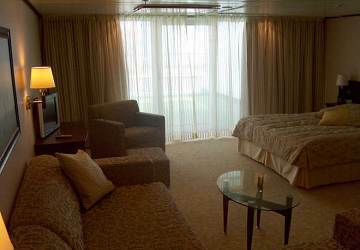 Shopping is an essential part of the Silja Galaxy experience. 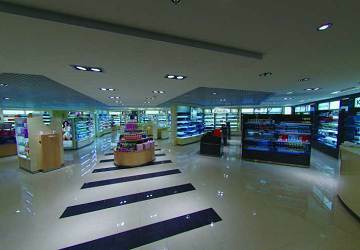 Food, sweets and drinks are sold in the tax free Supermarket, cosmetics and perfumes are on offer in the Cosmetic Boutique and clothes, fashion and souvenirs in the Boutique. These shops form a seamless and stylish shopping street on deck 6. Silja Galaxy offers wonderful onboard entertainment during the crossing ranging from the hottest artist and party bands to troubadours turning your ferry crossing into a real cruising atmosphere. The Sauna department makes a pleasant voyage even more enjoyable. The beautifully built sauna department has two private saunas, public saunas and pools for both children and adults. 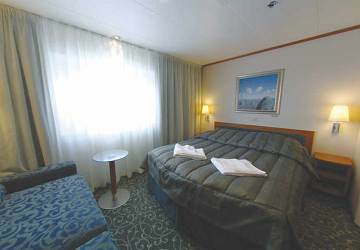 Silja Galaxy is a ship for the whole family and especially for children. 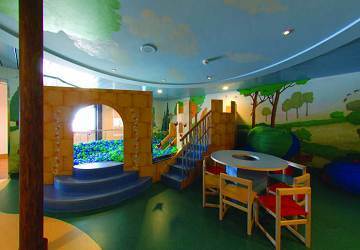 Younger passengers can dive into the ball pool, explore the castle or draw in the playroom. During the school holidays the Galaxy features special entertainment programs for children with dedicated staff on hand to organise all kinds of activities during the trip. Please Note: Whilst we have taken great care in making our Galaxy guide as accurate as possible, onboard facilities, services and entertainment may vary depending on the date and time of year that you travel, facilities mentioned may change without notification and ferry companies reserve the right to operate vessels other than those mentioned at time of booking without prior notification. "Great ride from Stockholm to Turku"
The cabin was very clean and very comfortable. The bathroom was small but very useful. Good choice of food and drinks in the bars and restaurants. The staff was very friendly. The trip was very pleasantly. 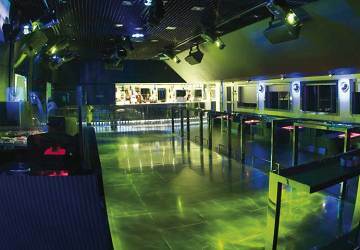 The unique minus was the night club on the ferry , it is very loud and you can hear the noise in your cabin. Apart of this all was good and I recommend that operator. The night spent on board the Galaxy was perfect! Clean cabin, excellent services, lots of shops, restaurants and locations where to relax or have fun. Invicible prices. High recommend! "Trip home from the beautiful Finland"
It was a very tiring trip because I had to wait at the port of Turku for 7 hours + the trip onboard.. I was missing the dance people, just parents with their children isn't much fun. It's not enough to have an inflatable plastic doll with you. The prices were too high on most things. The sauna was the best thing after 4 weeks in a tent. We have been travelling Europe in a motorhome full time for over two and a half years and have used ferries many times. This ferry trip was at least as good as any other we have taken, the ferry employees were most helpful and very customer orientated. The on-board entertainment was unexpected and most enjoyable we had an excellent experience. With so much noise from the bars and private, social gatherings in the cabins I would recommend sailing during the daytime instead if you are travelling with young children or for other reasons don't want to be part of the social activities. "Be aware of time difference"
We were not made aware of any time difference. We thought we had plenty of time in the morning. Annoying getting to car deck only to find we had the only car there, while my companion had to run to disembark. My wife, daughter and I recently traveled on the M/S Galaxy from Turku to Stockholm. What a stunning journey. The first three hours or so as the ship travels through the Aland Archipelago is spectacular, not only scenery wise but navigation-wise, highlighting the skills of the captain and his crew. Likewise, the interesting trip into Mariehamn, closely followed up the channel into port by Galaxy's sister ship Baltic Princess is an interesting sidelight. Then the entry into Stockholm. Stunning. We occupied a four-berth outside cabin which afforded us privacy and relaxation and was an excellent means of travel. We live in Sydney, Australia and always marvel at the beauty and expanse of Sydney Harbour but the experience of Stockholm Harbour is just as spectacular.